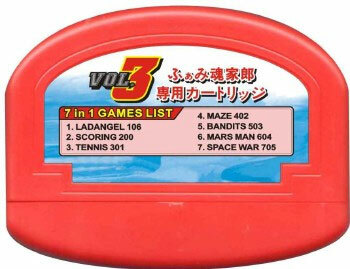 Ladangel, Scoring, Tennis, Maze, Bandits, Mars Man and Space War. A great compilation of original games which test Nintendo's definition of original. Brand new. Please note: it will only run on a Famicom Yarou. Slight box wear.